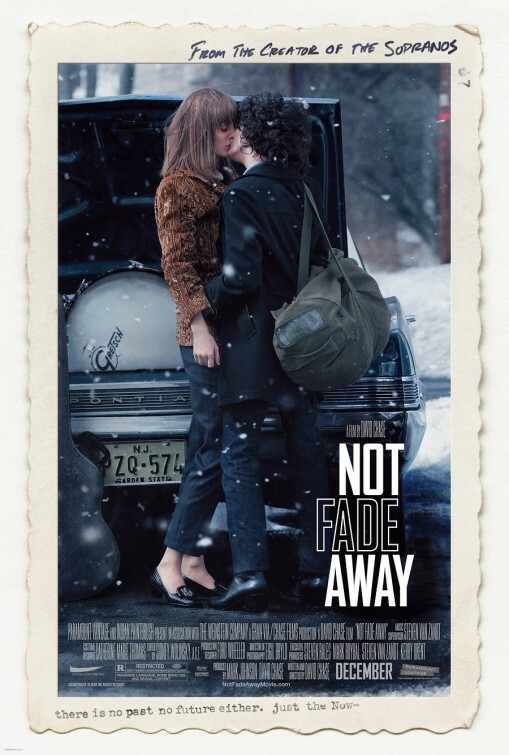 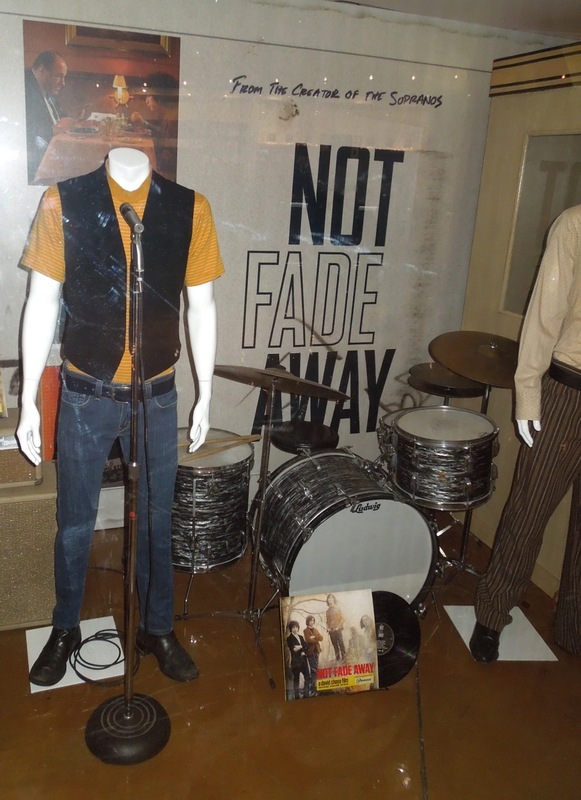 Set in suburban New Jersey in the 1960's, Not Fade Away follows the fortunes of a group of friends who form a rock band and try to make it big in the music business. 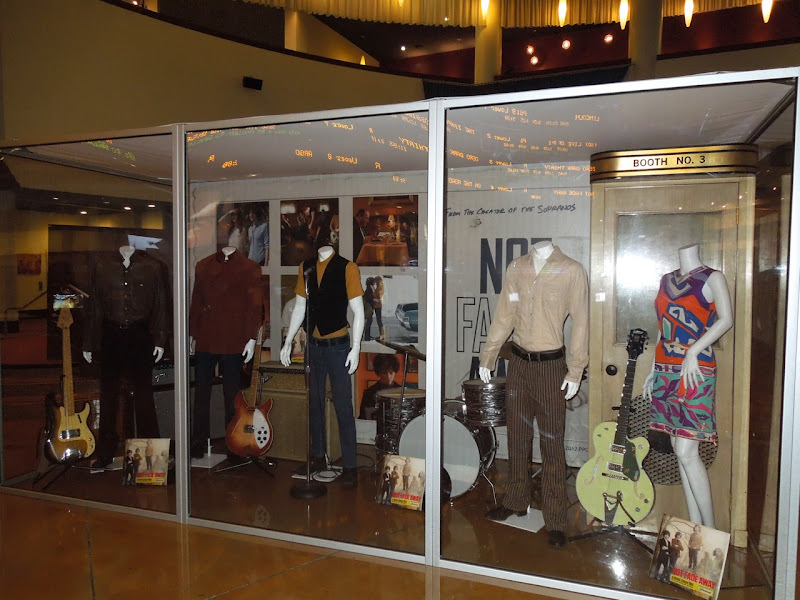 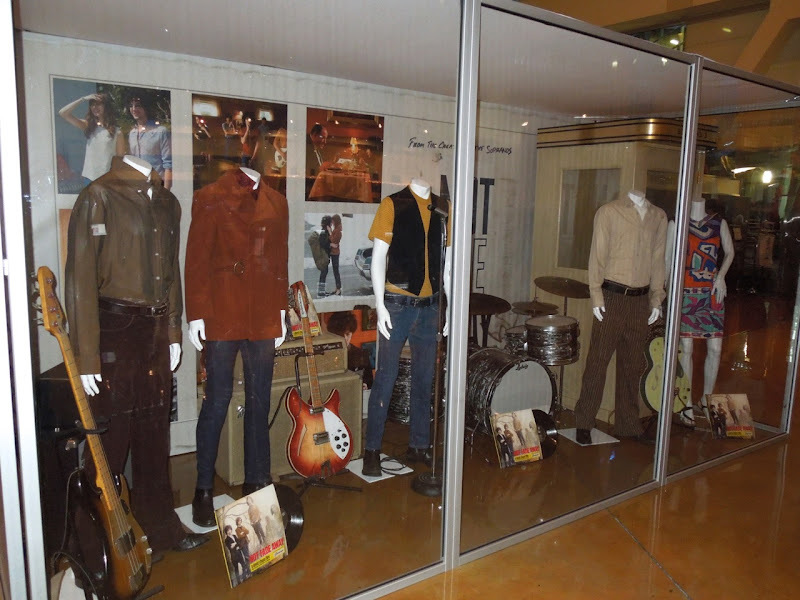 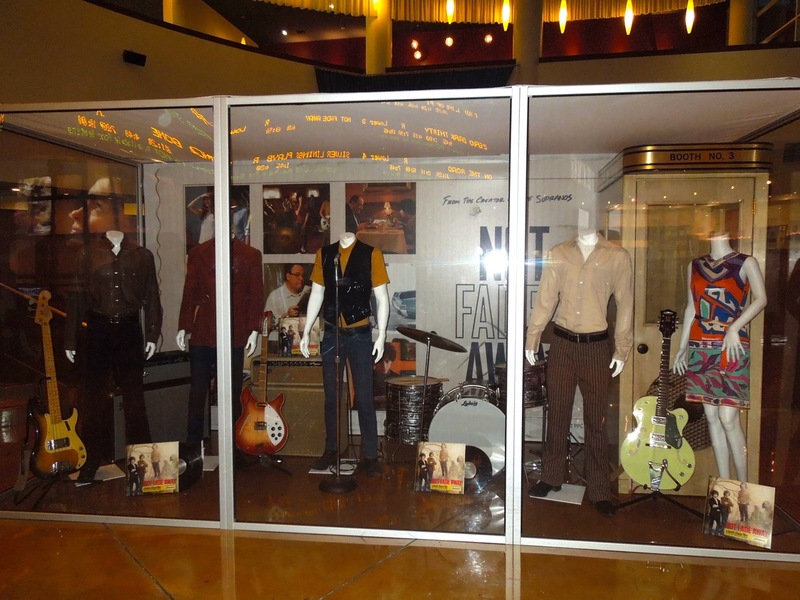 This costume and instrument prop exhibit for the movie was photographed on display at ArcLight Hollywood cinema on December 21, 2012. 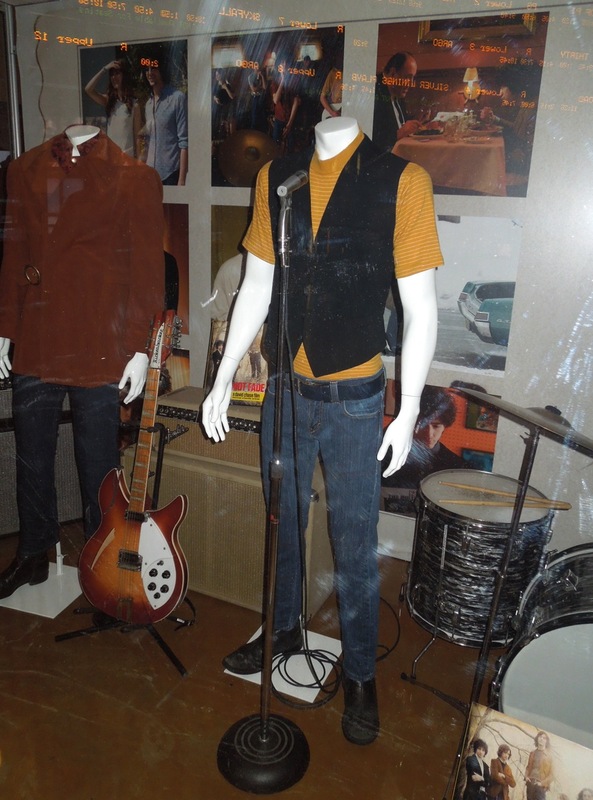 Unfortunately the display didn't have it's own light source which made photography difficult in the evening. 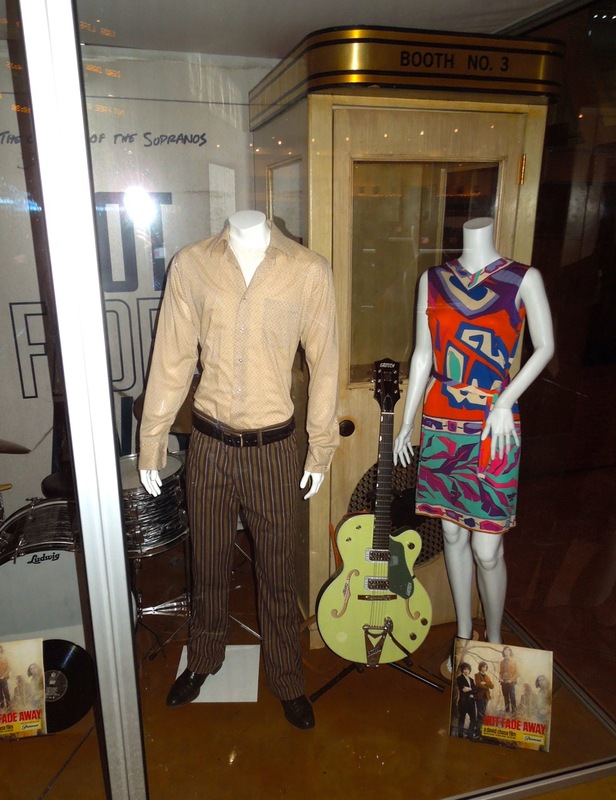 Catherine Marie Thomas was Costume Designer on this first feature from the creator of The Sopranos, David Chase. 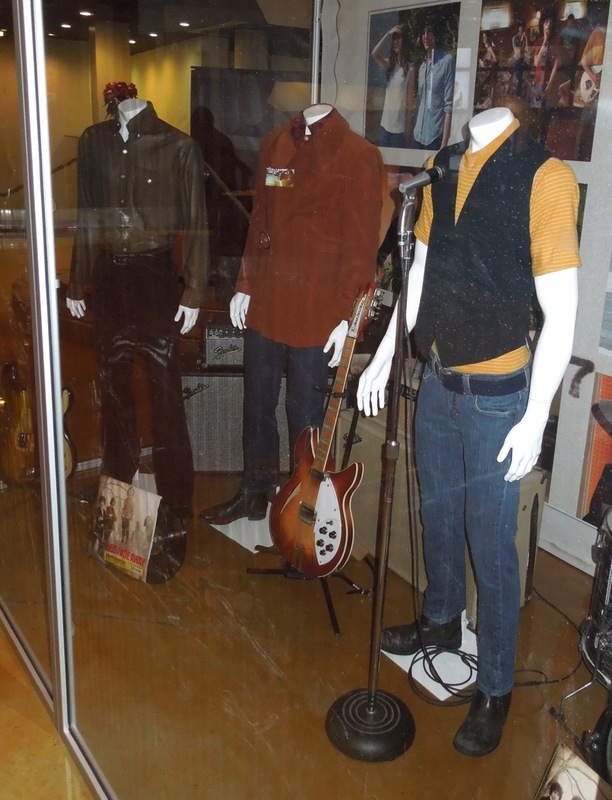 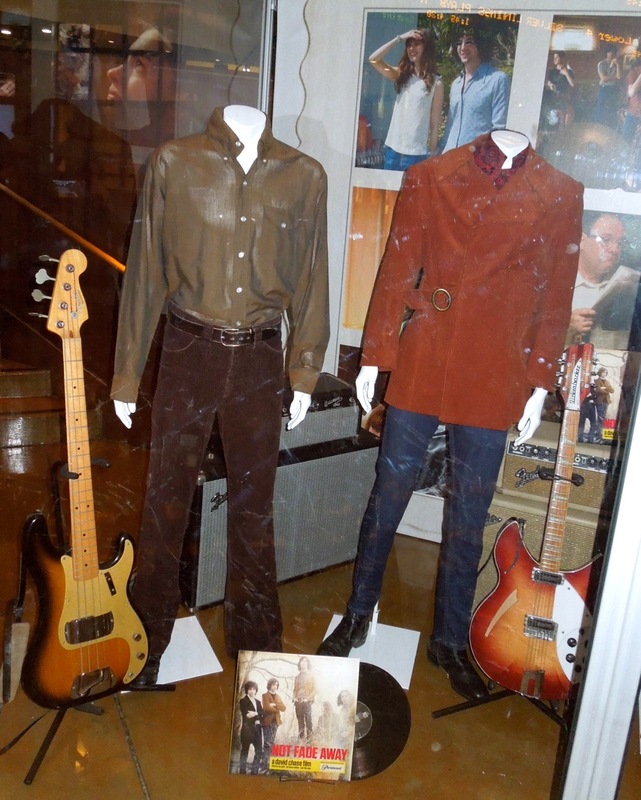 These 60's style outfits were worn by John Magaro as 'Douglas' and I believe his fellow bandmates played by Will Brill and Brahm Vaccarella. 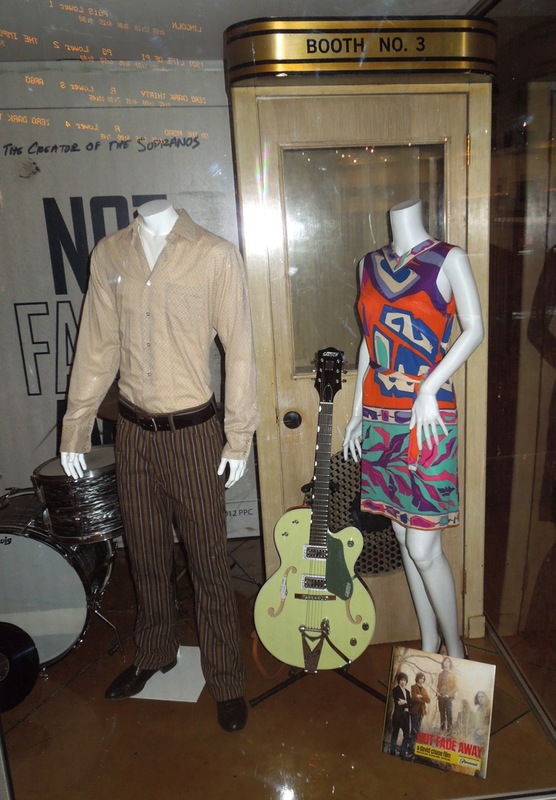 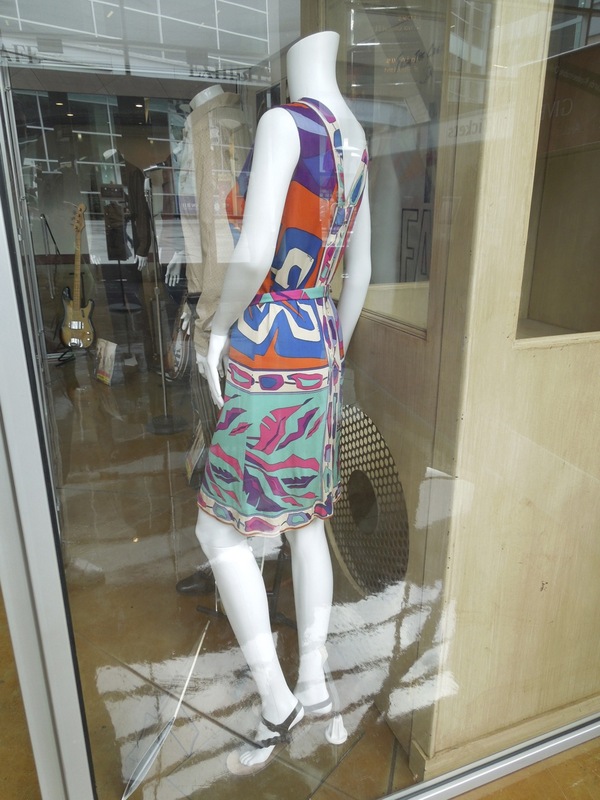 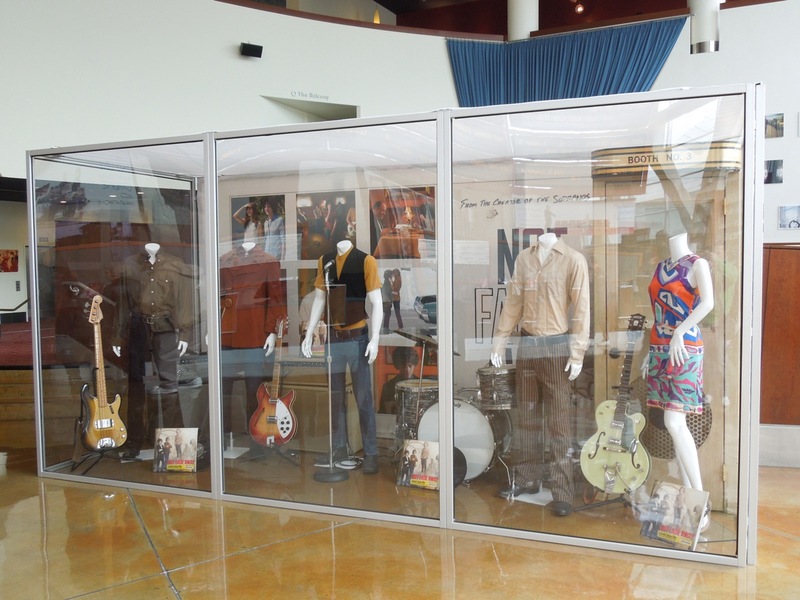 These costumes were worn by another band member played by Jack Huston, plus the print dress was worn by Douglas' love interest in the movie, 'Grace Dietz' played by Bella Heathcote.